Kami is the Kami-Sama of Earth. Years ago, for the same position, he split himself into two beings, one evil (Piccolo), and one good (Kami) to rid himself of evil. Kami can fight, but hardly ever does. Usually when Garlic Jr. comes into the plot. 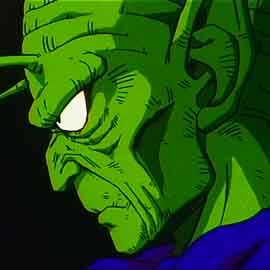 He fuses back together with Piccolo later (Somewhere in the Cell saga, I think) and Dende takes his place as Kami-Sama of the Earth.